A Pair of Sterling Silver Pentacle Earrings. Solid .925 Sterling Silver Construction. 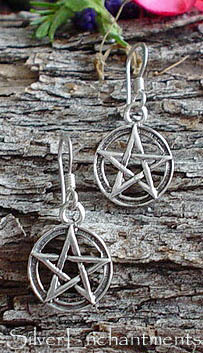 These Classic Wiccan Charm Earrings are both Cast and Assembled here in the USA. You'll receive a Pair.